﻿﻿﻿﻿﻿﻿Here’s the lowdown on whitetails and more, straight from the experts. ﻿﻿﻿﻿﻿﻿﻿﻿﻿﻿﻿Hunting is as much a conversation as it is an activity. Storytelling around a campfire at the end of the day is an important part of our hunting heritage, but hunters also crave news. If you don’t believe me, observe what happens whenever two or more of them get together. Doesn’t matter if it’s in a coffee shop in El Campo, a steakhouse in Fort Worth or a feed store in Llano — hunting will be discussed. So, pull up a chair and grab a cup of coffee. This place is full of wildlife biologists, and the talk is all about hunting season. That scruffy-looking character with the bushy horseshoe mustache talking to that large group, that’s Alan Cain. He heads up TPWD’s white-tailed deer program. That’s why he’s so popular. He oversees Texas’ 3.3 million deer, with a fan base of more than 500,000 deer hunters. A lot of folks want to hear what he has to say. Cain: The white-tailed deer herd in Texas is doing well and stable. Despite one of the worst droughts on record last year, the deer population came through with minimal population impacts. Most areas experienced a low fawn crop last year, as to be expected, but we had very few reports of any significant adult mortality related to the drought. Whenever a wildlife biologist talks about hunting prospects, weather is the caveat. It’s the one variable that land managers, biologists and hunters have no control over, yet it plays a critical part of the hunting equation. Cain: Winter and spring moisture was much better compared to last year, and most of the state has received much-needed rain this spring to boost forage resources needed for antler development and fawn rearing. Far West Texas, primarily mule deer country, is still dry. I expect this to be an average to slightly above-average season for antlers. South Texas, known for trophy bucks, should be in good shape as we've had rain this summer. The Texas Hill Country, known for higher deer populations, has also received good rains this summer, so hunters should expect decent antler quality and good body weights for this region. Another aspect of the hunting equation wildlife biologists are attuned to is trend data. They’re good at turning statistics into news hunters can use. Somebody asks about South Texas deer, and Cain defers to David Veale, whose district covers most of the Brush Country. Veale tips his hat. Veale: Deer age structure is still going to be impacted by the previous drought, with low fawn crops in 2008, 2009 and 2011. This will affect the number of bucks in the population available for harvest in many age classes, although the large fawn crop of 2007 should carry over decent numbers of mature bucks where they managed to live that long. David Synatzske is squinting and chomping at the bit to get in his two cents about South Texas deer. He manages the state’s crown jewels of South Texas wildlife management areas: the Chaparral and the James Daughtrey, and gets a lot of inquiries from savvy public hunters hoping to win the drawing for a prized Chap deer hunt through TPWD’s Public Hunting Program. Synatzske: Antler development is expected to be good on more mature aged bucks but may be somewhat lacking in younger age classes unless the drought ends soon. Higher fawn crops are in order from low production evident during the 2011 drought. From the side chats and nodding heads, the consensus among the state’s biologists points to an overall better deer hunting season, thanks to timely reprieves from the drought. 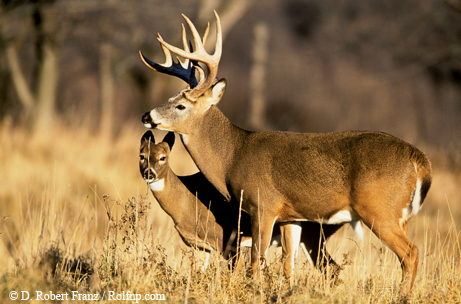 Spring rains rejuvenated habitat conditions, provided bucks with the nutrition they needed for antler growth and enabled does to produce higher fawn crops. Mike Krueger, district biologist for the Edwards Plateau, is an optimist and a realist. Krueger: What a difference a year makes. But it’s still too early to say that the drought is over – more rain is needed to replenish diminished soil moisture, surface water and groundwater supplies. ﻿Biologists speak different languages, not just deer talk. That red-headed, freckle-faced guy working the duck call is Kevin Kraai, TPWD’s waterfowl program leader. He’s fired up about this year’s waterfowl season, mostly because there’s actually some water in Texas for the ducks. From a wetlands conservation perspective, the drought came with an upside. Kraai: Assuming you can follow up a drought like last year with rain, an event like that can be very beneficial for wetland conditions the following year. Wetlands need disturbance of one kind or another, and drought can act as one of the best disturbances to stimulate favorable plants for waterfowl. I don’t believe we could have asked for a better scenario for breeding mottled ducks and waterfowl arriving this fall … we just need lots of rain prior to their departure from the north. Duck hunters should brace themselves for what could be a good season. The U.S. Fish and Wildlife Service’s survey estimates 48.6 million breeding ducks, a 7 percent increase over last year and 43 percent above the 1955–2010 long-term average. This year’s estimate is a record high and is only the sixth time in the survey’s history that the total duck population has exceeded 40 million. As always, fall weather and habitat conditions along migration routes will have a big impact on migration chronology and local hunting success. While the discussion about deer and duck hunting prospects is generating a lot of nods among the crowd, there’s guarded optimism among some in the room when the conversation turns to turkey and quail. The rebound from drought, it appears, may not come overnight. Jason Hardin is the quiet type, but when the state’s turkey program biologist has something to say, it’s worth hearing. Hardin: Most of the hens in 2011, a lot of which were juveniles following an excellent hatch in 2010, did not attempt to nest. Survival of hens was actually above average due to their lack of nesting activity. With favorable rains and a mild winter this past spring, turkeys got off to an early start. Most hens nested. Predation was on the high end, but not outside of normal nest predation for turkeys. There should be a fair number of jakes seen this fall and next spring. Plus, we had such a great hatch in 2010 that there should also be a ton of mature toms across the landscape as well. There have been few reports of production in East Texas, unfortunately. In the Hill Country, a brighter outlook is in store. Krueger, the district biologist, gives the particulars. Krueger: Ground nesting birds – turkey and quail in particular – were in much better breeding condition this year than 2011, when we speculated that many never did get into good reproductive condition. One negative is that there was a lack of nesting cover this year due to the 2011 drought, which may have limited nest sites and increased the effectiveness of nest predators. A very strong positive is that there were lots of insects this year to provide high-protein sources of food for the young birds that successfully hatched. And the large number of insects, especially grasshoppers, should have provided enough alternative food sources for nest predators (skunks, foxes, raccoons) to help reduce some nest predation. I’ve personally observed, and am hearing reports from others, that the production of turkey poults is better than average this year. Quail production should have also been good this year, but unfortunately, there are very few areas of the Edwards Plateau that have enough quail to be of significance. In South Texas, the Chaparral WMA is a good index of how the quail are faring. Synatzske weighs in. Synatzske: At least two different age classes of quail chicks and a good turkey hatch have been observed on the Chap. With spring rains being scarce the last decade in general, the hatch is notable; now if we can just get the follow-up rains for insects to provide chicks with a chance to survive. Brood stock of quail was low, so good hatches will help the rebound process from the drought, but the drought seems to be persistently hanging on. 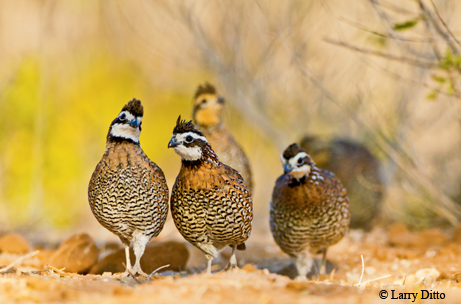 Veale: Quail have had good reproductive success in many areas, but one good year is not enough to counteract four bad ones. They are going to need several good rainfall years to begin growing their populations back in many areas. Turkey reproduction has been good this year as well, but again, previous lack of rainfall impacts the mature birds in the population. The bottom line: better than last year. 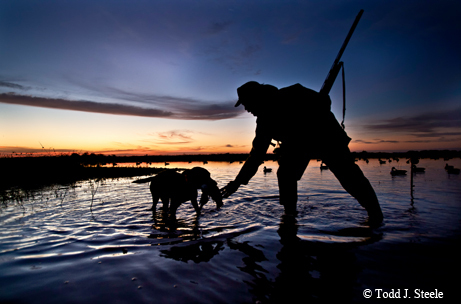 A hunter couldn’t ask for more, but there’s a lot more to hunt in Texas. Squirrel hunting opportunities for the 2012–13 seasons in East Texas should be fair to good, primarily because enough rain has fallen to generate a fair acorn crop. Years with good mast production are typically followed by years with good squirrel reproduction. Sportsmen desiring early fall hunting opportunities will likely be rewarded for their efforts. Javelina populations remain strong. They are about the only species that did not suffer in last year’s drought. 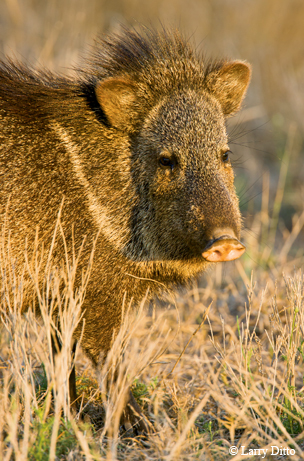 Javelinas are plentiful throughout the Trans-Pecos and are a bonus on deer or other game hunts. They can be commonly hunted over feeders or water, and can also make for an exciting spot-and-stalk hunt. Don’t get me started on those darn feral hogs. There are plenty of them to hunt, and most ranchers welcome their removal. If you don’t have a place to hunt, let me tell you about TPWD’s Public Hunting Program. With the $48 annual permit, you’ve got access to prime hunting throughout the state. You can get started online at www.tpwd.state.tx.us/huntwild/hunt/public. We could go on and on for hours talking about the opportunities and prospects, but it’s time to shut up and go hunting! Are you ready for hunting season? 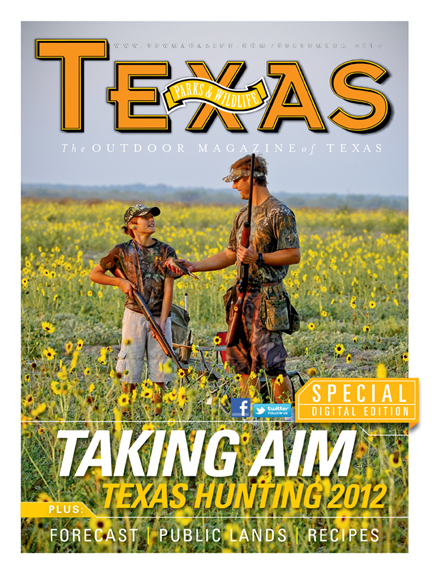 Scout the hunting possibilities in this Texas Parks & Wildlife magazine digital extra: Texas Hunting 2012.